In a small bowl, stir together the oats and milk. Thinly slice 1/4 of the onion and set aside for later. Finely chop the remaining onion. In a large bowl combine the turkey, oat mixture, chopped onion, bell pepper, eggs, Worcestershire sauce, ketchup, salt and a few dashes of pepper. Mix just until well combined. Transfer the mixture to a 9 x 13-inch baking dish and shape into a loaf about 5 inches wide and 2 1/2 inches high. 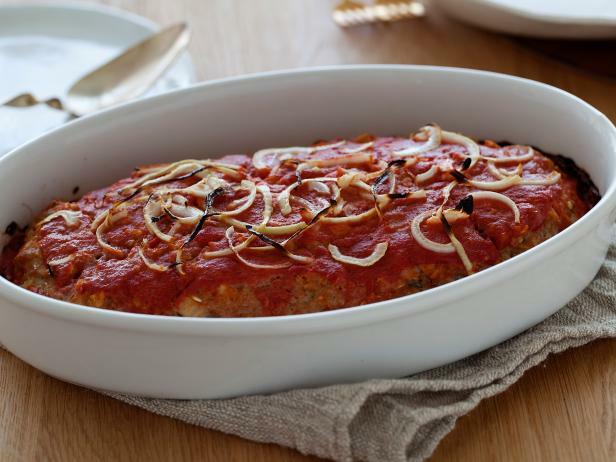 Pour the tomato sauce over the meatloaf and sprinkle with the sliced onions. Bake for about 1 hour or until an instant-read thermometer registers 160 degrees.F. Remove from the oven and let rest for 10 to15 minutes before slicing. Enjoy! For more great recipes, visit The Food Network’s site. Love Attack at CASTRONOVO CHOCOLATE FACTORY!! !